Should we have cloned rare tortoise Lonesome George? 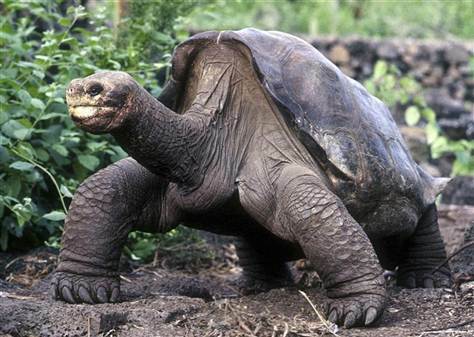 A lumbering giant Galapagos tortoise known as Lonesome George lifts his head up during a walk in his protected home in the island chain in Puerto Ayora in this Feb. 5, 2001 file photo. Lonesome George, the last remaining tortoise of his kind and a conservation icon, died on June 24. He was thought to be about 100 years old.